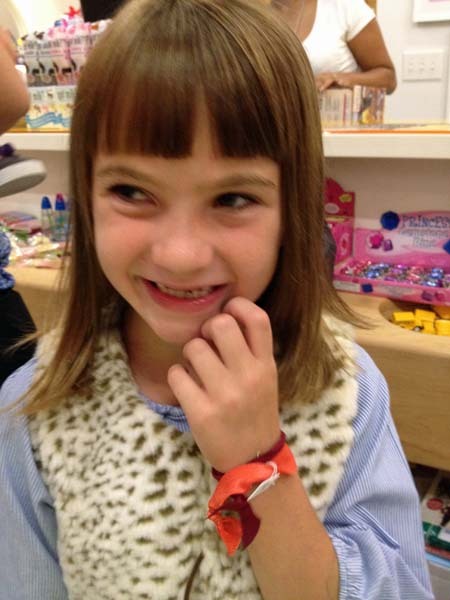 Sadie is such a doll with her new bangs. Dentist appointments for both girls. Seven-year-old check-up for Sadie—all the way on the Upper East Side because I love my pediatrician so much! Haircuts at Doodle Doo's the day before school started. Welcome conference with both teachers. Staples shopping for middle school school supplies. Seriously, so many forms, they don't seem to end! Sadie started gymnastics this week. Belle is starting hockey and basketball...and just told me she wants to add acting! There's also the task of getting the girls' bedtime back on track, since they are used to summer hours and sleeping in. This process will take a couple of weeks. Then there was the planning of Sadie's seventh birthday party. All the deets—Katy Perry, feathers, jewelry making, glitter tattoos, and cupcake making—you'll find below. As well as planning my husband's 50th birthday party, see below. We did a fall pig roast at our house in Amagansett! The festivities included t-shirts we had made to go along with his love of surfing and playing guitar. Oh, and we hired a new dog walker too. 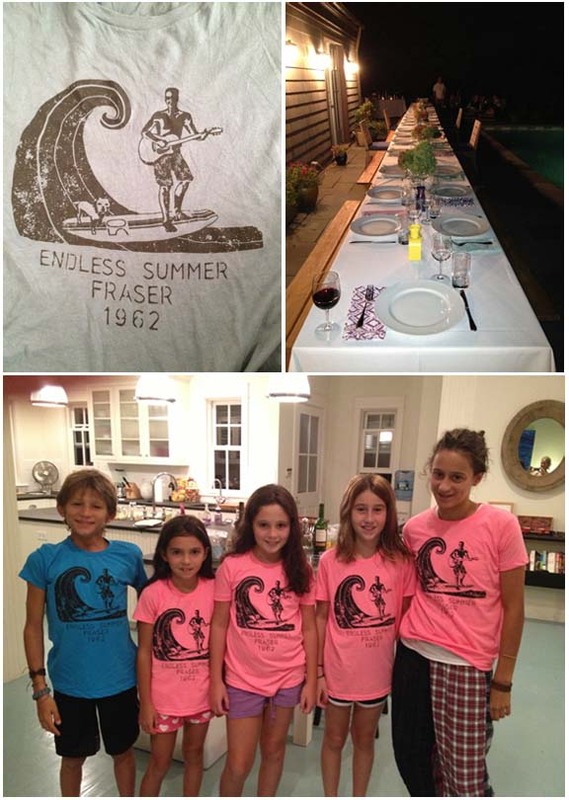 John's birthday t-shirt; the table set for the pig roast; we even had t-shirts made for the kids! And that's for my family. As for myself, I would love to get back into a healthy eating routine and get to Soul Cycle for some spin classes. That will come in October when everyone else is back on track! What is your best trick to get organized, and, better yet, what do you to motivate yourself to stay organized?